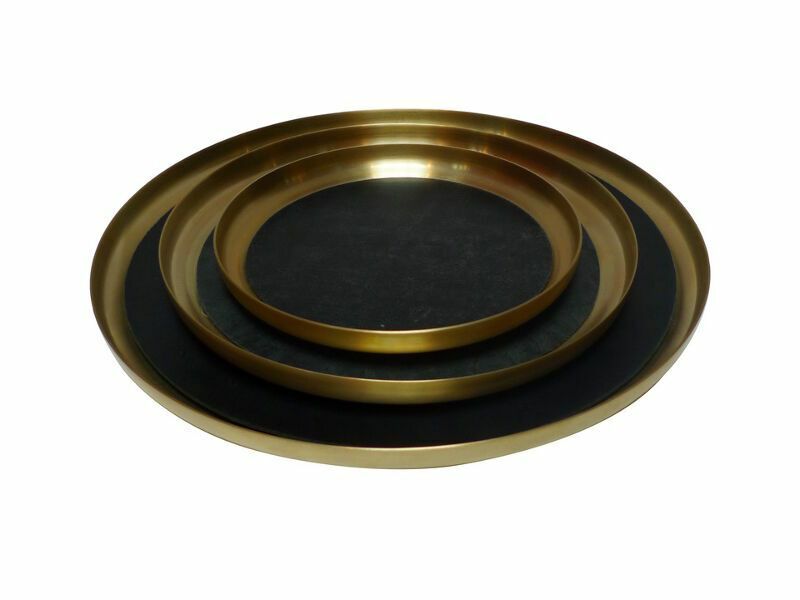 Hammered brass tray with removable leather insert. 39cm dia x 3cm h Handmade in Belgium Michael Verheyden is a Belgium based designer creating home objects, furniture and fashion accessories. With a background in industrial design he seeks to use leather in innovative ways, along with marble, brass, linen - quality materials that feel natural and age beautifully. To purchase, click ADD TO CART Check your cart contents by clicking CART at the top right of the page.